Participate in unique online learning opportunities for those helping to reduce sexual violence while creating a culture of consent and respect. Learn from and interact with one of the world's leading minds on providing transformational trainings and programs addressing consent, respect, healthy relationships, sexual decision-making, bystander intervention and supporting survivors. 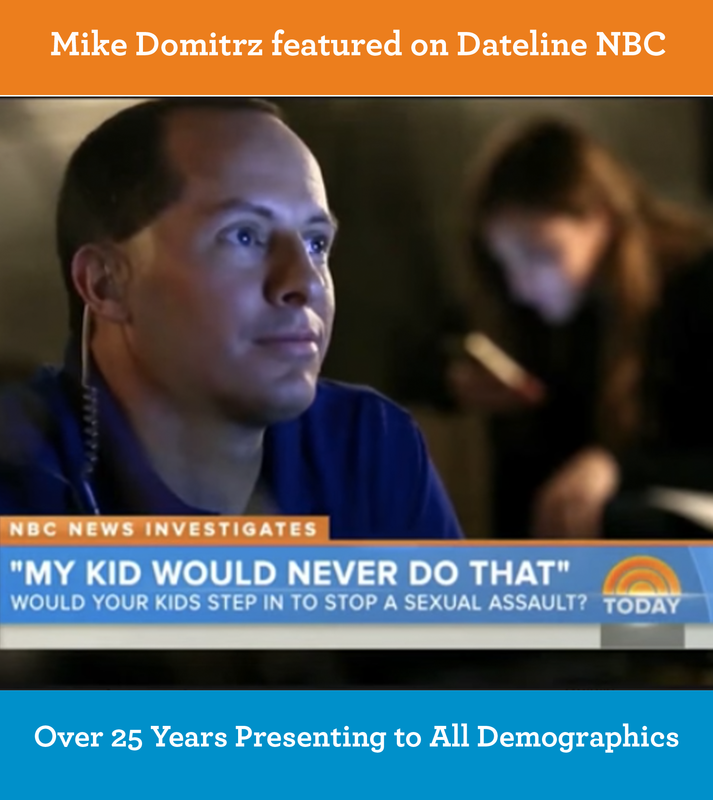 Mike Domitrz, founder of The DATE SAFE Project, is a critically-acclaimed speaker, author, subject matter expert, and media resource who, for more than two decades, has been inspiring individuals with his passion and energy for creating a culture of respect. Each year, Mike conducts up to 250 trainings for tens of thousands around the world. You will be learning from an expert trainer whom school systems, universities, the US Military, corporations, and organizations — along with media outlets — turn to as their subject matter expert for teaching how to reduce sexual violence through consent and respect education. When participating in Mike's online programs, you will quickly discover Mike holds nothing back. You are learning from someone who cares deeply about helping you reduce sexual violence by utilizing innovative and powerfully effective skill sets and strategies. People rave about what a lasting impact Mike has — both through his unique approach and how he leaves each person with specific skill sets they can implement immediately into their own lives. 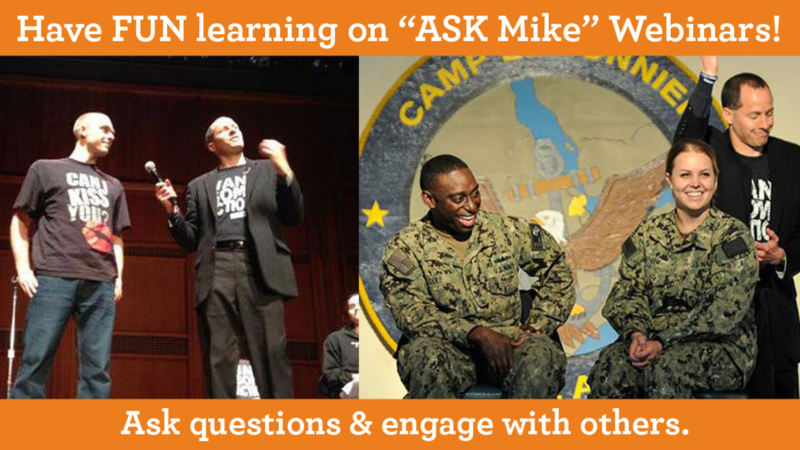 Join Mike TODAY in an online program! "Being able to interact with Marines and sailors in a way that opened up their mind to different approaches to situations often seen in society was the best aspect of the presentation." 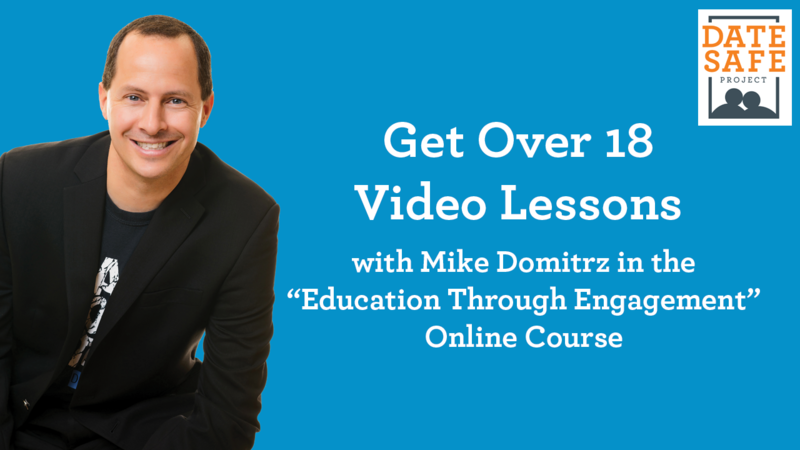 "Mike Domitrz is the ultimate professional in the speaking industry. He cares deeply about helping each individual and does so by giving everything to everyone (he does not hold anything back). His combination of integrity, passion, and giving spirit are inspiring and the reason so many of us in the National Speakers Association continually seek him out." "Since you came I have not only heard discussions from my staff but also the students about consent and bystander intervention. Already this year students are coming forward quickly to hold their fellow students responsible for sexual harassment as well as other offenses. Survivors are coming forward and my staff is open and ready to care. The day after the event I saw your post-it notes all over the halls. One note on a door read simply ‘I’m here for you.’ It about broke my heart with joy. Thank you for what you do." Read 12 survivors of sexual assault's powerful journeys OR listen to each survivor read his or her chapter directly to you (including 12 bonus interviews in the audio book). You get one of the most openly telling books ever written from the viewpoint of survivors. Each survivor takes you on a journey that will inspire you. In Voices of Courage, you will be reading and listening to a book that is changing lives around the world!